Despite what media is claiming, creating deepfakes is not easy. To be more precise, creating deepfakes is very easy, but creating good ones is not. There is no doubt that the most accessible application to create deepfakes is FakeApp, which recently hit version 2.2. This tutorial will show you how to install it and use it. For an in-depth discussion on how to get the most out of face-swap technology, you can refer to How To Create The Perfect DeepFakes. FakeApp, like most face-swapping software, is based on the original implementation provided by the Reddit user deepfakes. There are other softwares available, such as faceswap on GitHub), but FakeApp remains the most accessible one due to its friendly interface. Whichever application you are going to use, make sure to download it from an official source, as many are infected with Bitcoin miners and Trojans. FakeApp relies on neural networks, which are notoriously expensive to train. Despite their cost, the process of training a neural network is highly parallelisable. For this reason, most Machine Learning frameworks (such as Keras and TernsorFlow) can dispatch the computation on a GPU. GPU stands for Graphics Processing Unit, and is the chip that inside your machine that usually processes graphics inputs. GPUs are designed to perform operations in parallel, hence they are perfect to train neural networks which are built upon independent neurons working in parallel. FakeApp uses TensorFlow, a Machine Learning framework which supports GPU-accelerated computation using NVIDIA graphics cards. 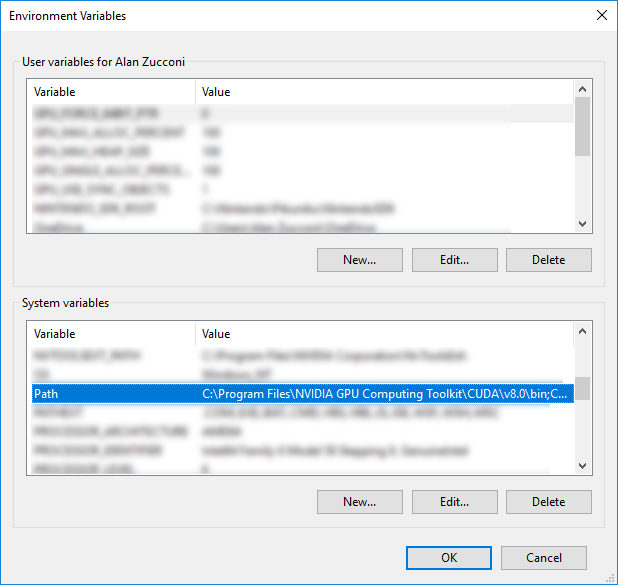 Before using that, however, you need to install CUDA®, a parallel computing platform that delegates intensive computation to an NVIDIA GPU. Check your Graphics Card. Not all graphics cards from NVIDIA have integrated support for GPU Computing. You can check whether your GPU is compatible or not visiting the CUDA GPUs list. 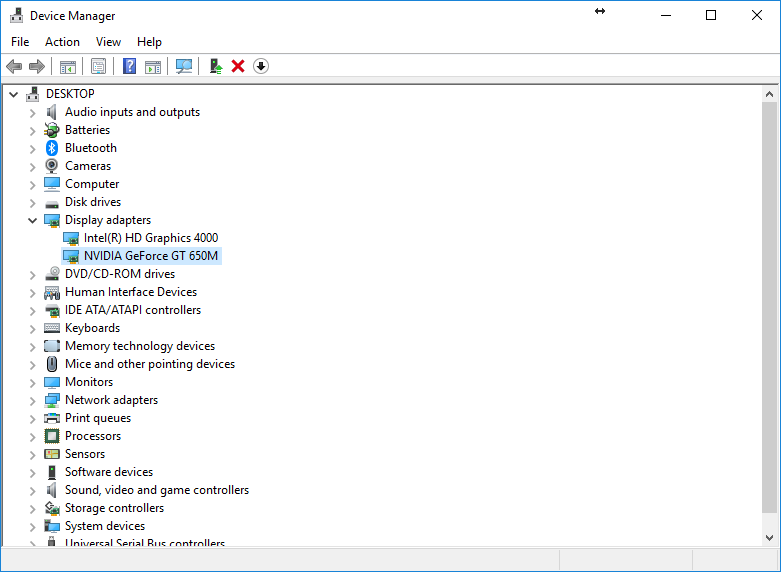 Any graphics card with Compute Capability greater or equal to 3.0 will work. FakeApp allows to train your models without a GPU. This is strongly discouraged, as the process might take weeks, instead of hours. Update your NVIDIA Drivers. Before being able to use CUDA®, you must update your NVIDIA drivers. You can do so from the official NVIDIA Driver Downloads page. Make sure you are choosing the right model and architecture. ❓ How do I know the model of my GPU? Names might vary slightly depending on your version of Windows. Install CUDA® Toolkit 9.0. 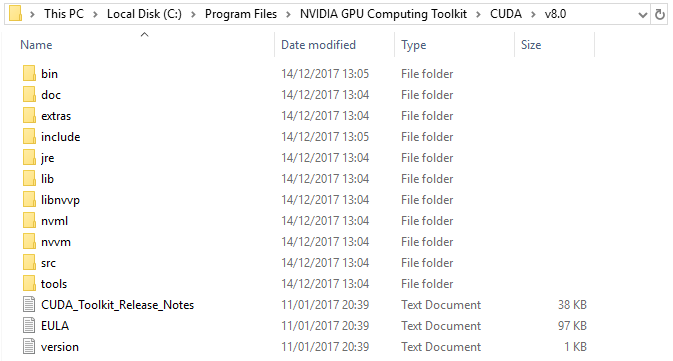 Now that your NVIDIA drivers are up to date, you can download the actual CUDA® Toolkit from the official CUDA® Toolkit Download page. Make sure that you select the right version for both CUDA and your OS. You can choose whichever Installer Type you prefer. “exe (local)” will download the entire installer first. The file is rather big, so get ready to wait. During the installation, choose the “Custom” option and select all of its components. Install cuDNN. While the CUDA® Toolkit provides the basic set of tools required for GPU computing, it does not include the libraries for certain specialised tasks. ML-Agents uses reinforcement learning to training neural networks. As such, you will also need to download the CUDA® support for deep neural networks, also known as cuDNN. Downloading cuDNN requires a login. You can register for free as an NVIDIA Developer, and then visit the webpage again to access the download link. FakeApp works with cuDNN 7, so make sure to select the right version. While this is the suggested option, you can keep the cuDNN files in a separate folder. If you do this, remember to follow the next step carefully so that they are still accessible through your Path. Configure your Path System Variable. Both CUDA® and cuDNN needs to be accessible by FakeApp. By default, installing CUDA9.0 updates your Path. This is a system variable that Windows uses to find critical files and applications. The installer for CUDA® should automatically update your Path; double check this is the case, or FakeApp will not be able to work. 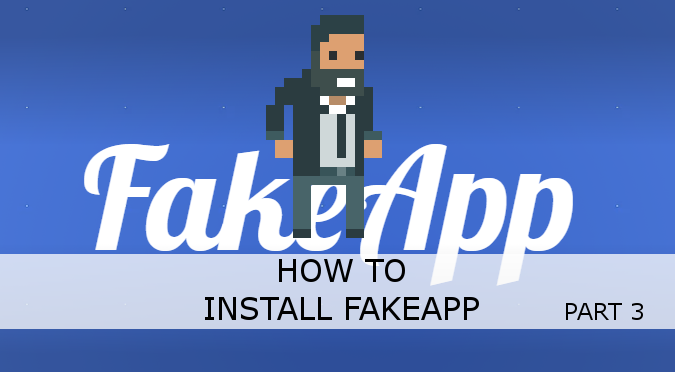 Installing FakeApp is the easiest step, although it still requires some configuration. The installer can be downloaded from the FakeApp Download page. Make sure to download it from there, as many other sources are infected with malware and Bitcoin miners. If everything works correctly, you should now be able to use FakeApp. Now that FakeApp (and all of its dependencies) are installed, the next tutorial will teach how to use it. The URL does not seem to work (https://www.fakeapp.org/download). Would be great if you got it working again. Looking forward to using this app! I’m not the developer of FakeApp. This is just a tutorial on how to use it! Started to go step by step. Updated my Nvidia drivers then read the rest of the tutorial. The fakeapp.org website has been shut down sadly. I have managed to find an installer for the app itself, but have not managed to find a way to download the core library yet. Has anyone had any luck with that? 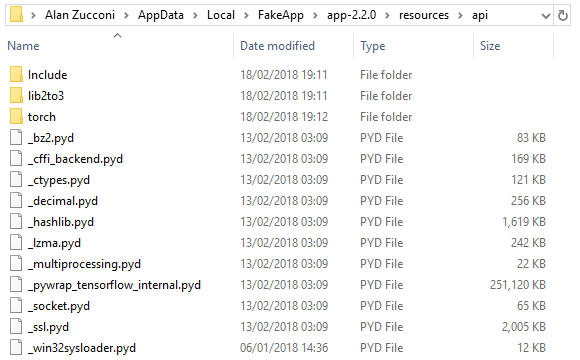 I found a download for the fakeapp, but impossible to find a download for the core library. Any ideas? Great tutorial by the way! I believe it is easier to use faceswap instead. It’s also incredibly bad and isn’t anything like Fakeapp or anywhere near as good, in fact, it’s horrid! Please don’t waste people’s time! I’m not the creator of FakeApp, so unfortunately I cannot provide any help with that. Where can i dowenload fakeapp? And can i only use the choosen videos to edit in fakeapp ore can İ use a homemade video?